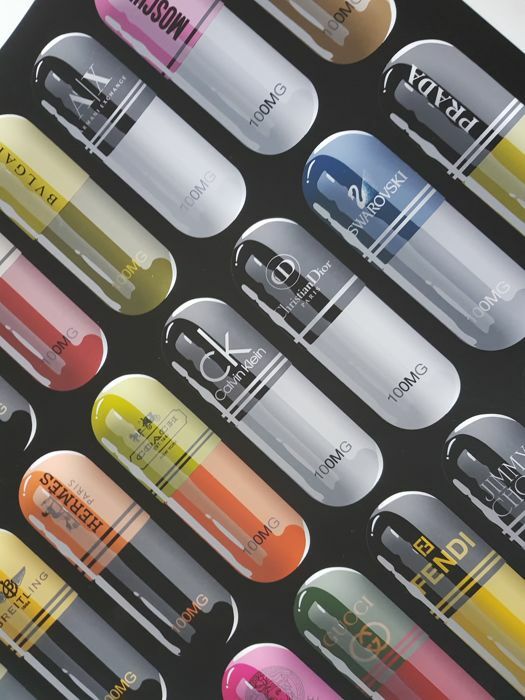 An original example from the Canadian artist DENIAL artist entitled "Shelf Medication", this edition is a Catawiki exclusive,having never been made available on sale anywhere else before! 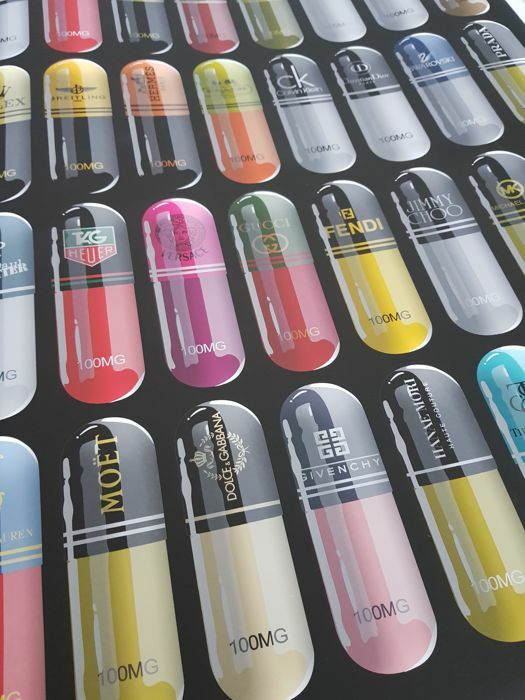 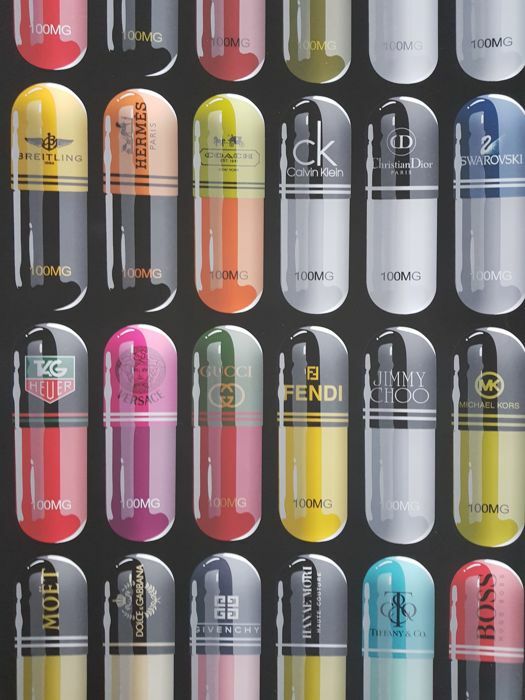 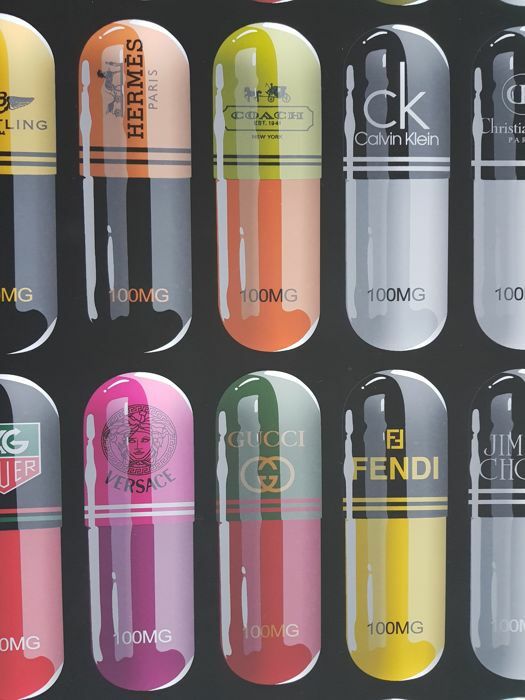 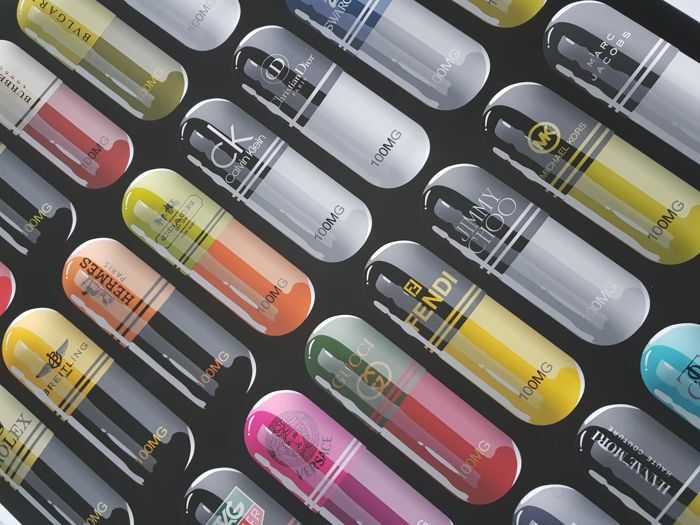 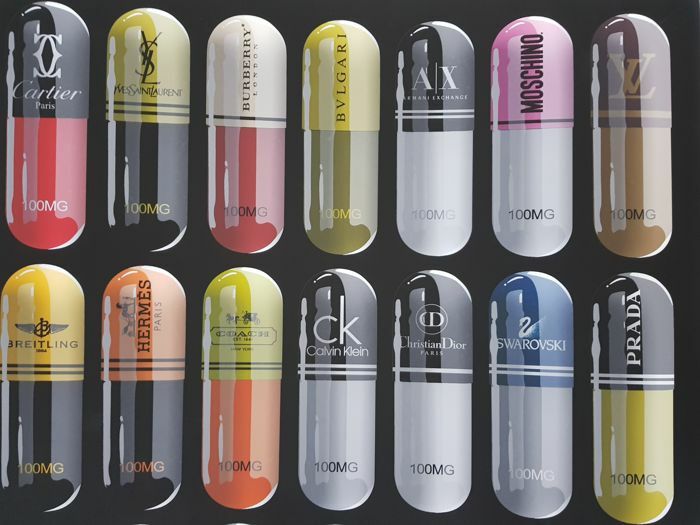 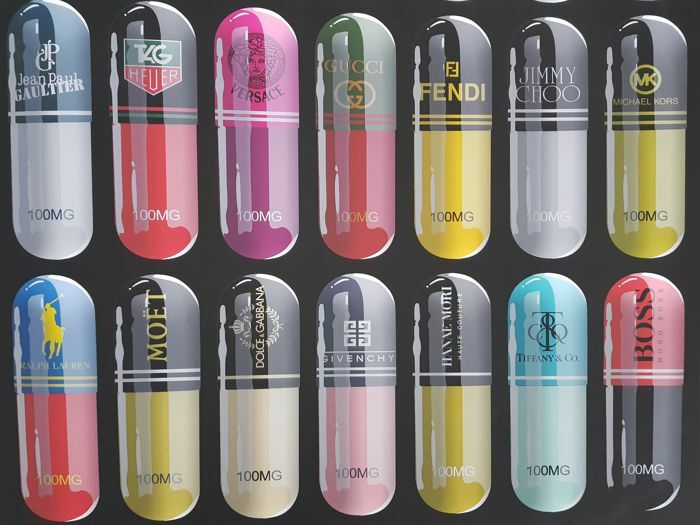 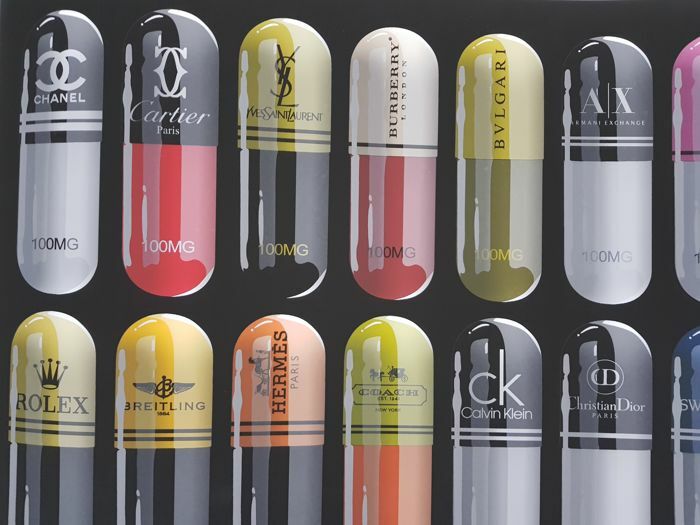 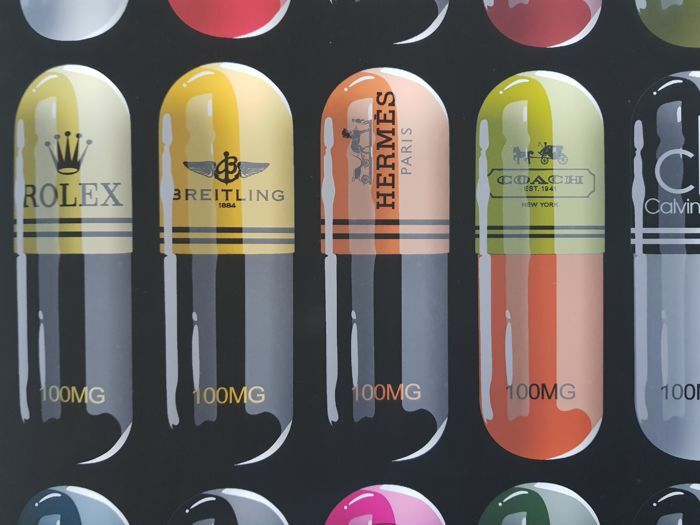 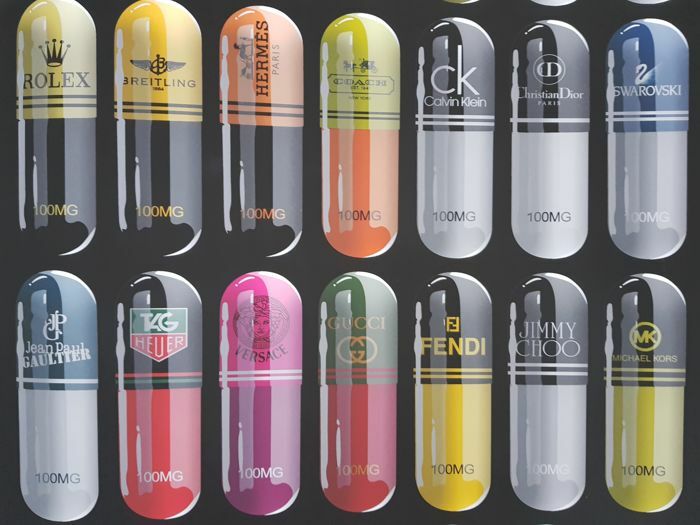 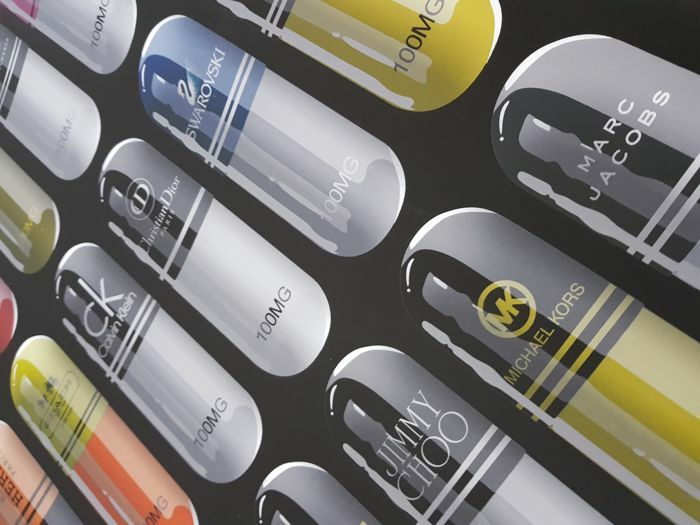 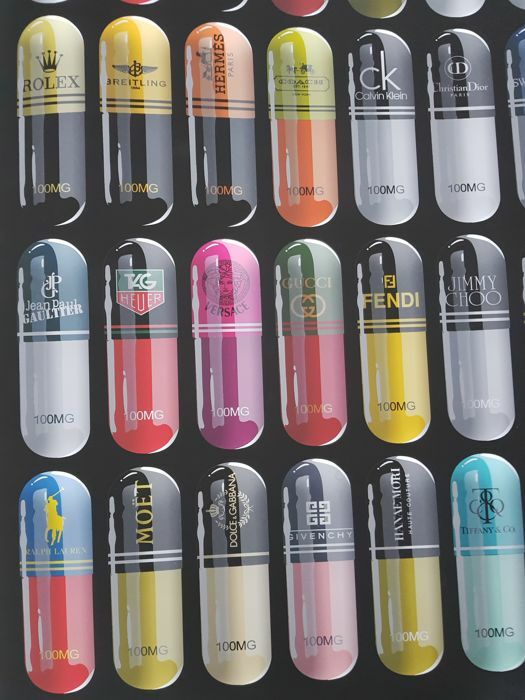 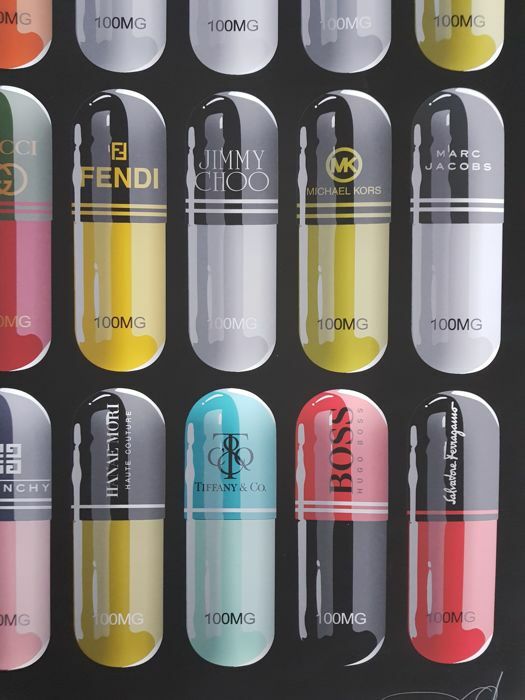 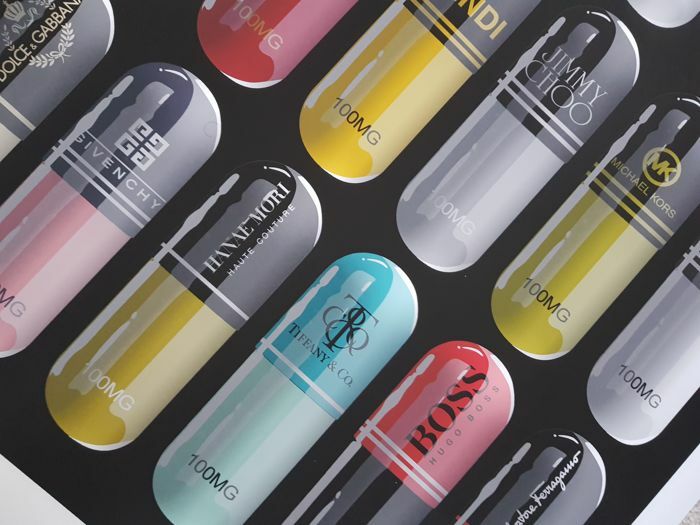 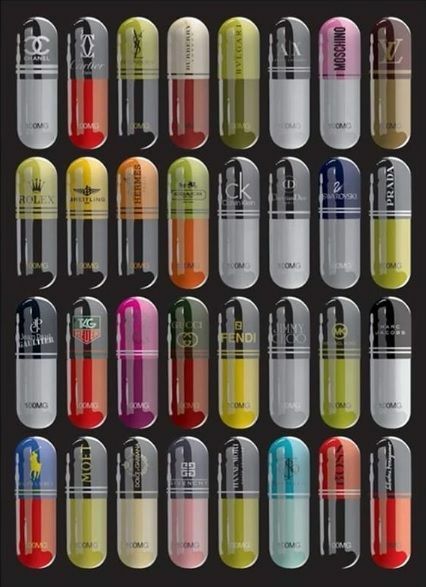 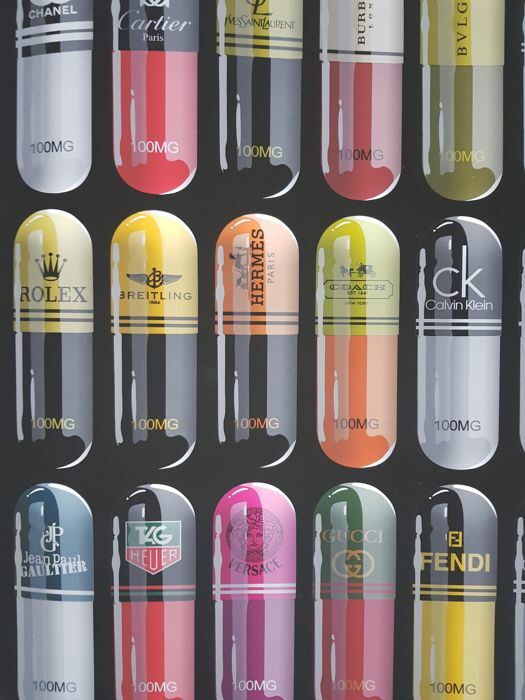 This print is made up of numerous images of pill`s featuring global designer brand`s logo`s. 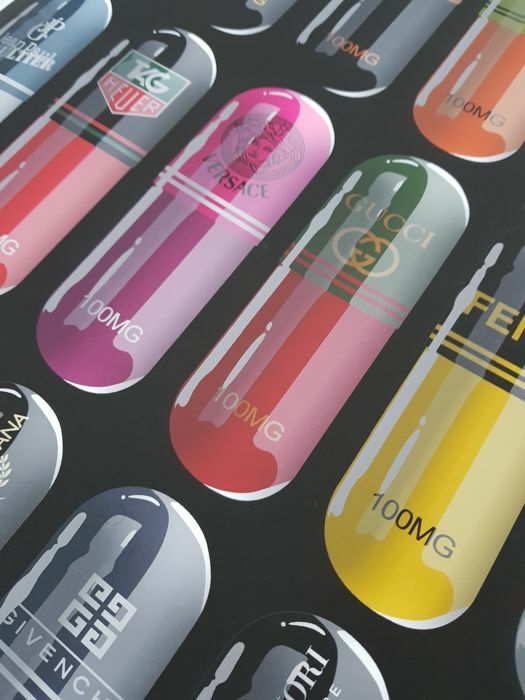 Measuring a substantial 90cm x 68cm being on good quality archival 300gsm Fine Art paper, forming part of a very limited edition totalling just 20! 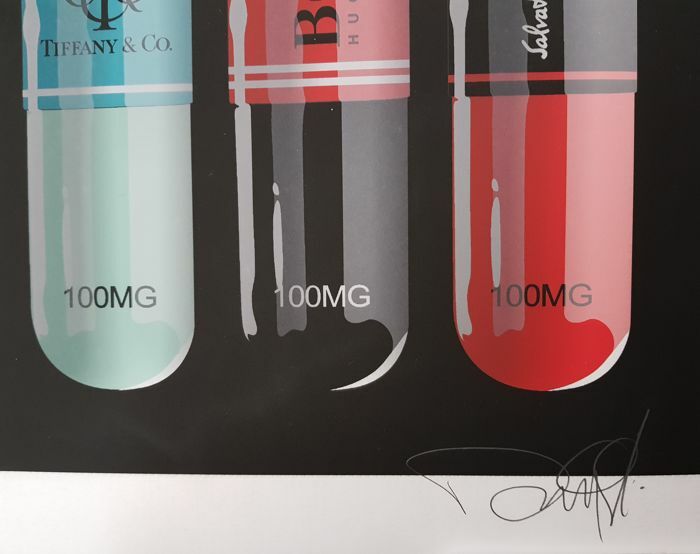 Coming signed and numbered by the artist, and accompanied by a COA. 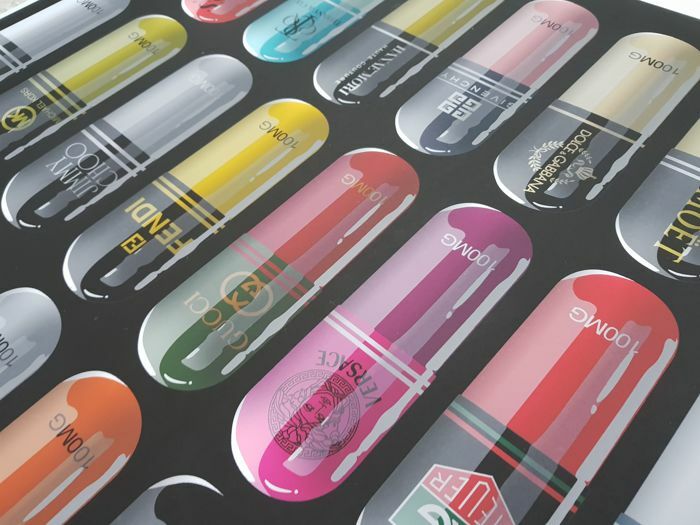 I offer worldwide shipping using quality packing materials.Will be sent using Parcel Force next day delivery service in UK, or using Parcel Force / UPS expressl signed for airmail service for overseas buyers.